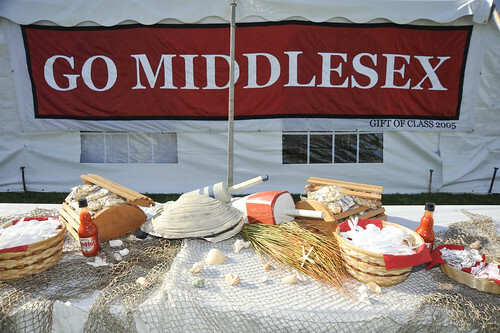 Middlesex will welcome back all members of the classes of 1969, 1974, 1979, 1984, 1989, 1994, 1999, 2004, 2009, and 2014 for our annual 2-day celebration known as Alumni Weekend. Additionally, esteemed members of our Old Guard (all alumni who graduated at least 51 years ago) are invited to join us for all of the traditional weekend activities. On May 10th & 11th, Middlesex will welcome back all members of the classes of 1969, 1974, 1979, 1984, 1989, 1994, 1999, 2004, 2009, and 2014 for our annual 2-day celebration known as Alumni Weekend. Additionally, esteemed members of our Old Guard (all alumni who graduated at least 51 years ago) are invited to join us for all of the traditional weekend activities. Reunion committees representing each reunion year have begun to organize and will be communicating with their classmates regarding reunion details and class giving. Reunion Class Information includes a list of committee members, and any additional planning details for each reunion year. Our weekend schedule is thoughtfully balanced to provide our alumni with a fun and engaging weekend. Highlights this year include the Woodman’s Clambake, tours of the new Bass Arts Pavilion, and an art exhibit by Rachel Perry ’80 in the new Ishibashi Art Gallery. We guarantee that you’ll be busy from early Friday evening until you say your last goodbyes on Saturday evening. Lots of friends, food and fun! There is a flat fee of $50.00 for any alumni or their adult guests to attend any or all of the reunion activities taking place over the weekend. There will be no fee for the graduates of the Class of 2014, but there is a flat fee of $50.00 per adult guest. Online registration is available or you may call us at 978-369-6509. Free Friday night childcare will be provided for children ages 4-12 years old, but all children must be registered for childcare. While many of our returning alumni can make the trip back to Concord by car, a significant number of alumni are spread out across the country and around the world, so we consider ourselves fortunate to be located so close to a travel hub such as Boston. Whatever your mode of transportation, we’ve got the directions that will help to get you back to campus. Overnight accommodations are plentiful in and around the Concord area, but it’s always best to plan ahead. If you will be staying overnight, you may want to contact one of the many area hotels & inns. As a further consideration, many alumni opt to stay in one of the Boston area hotels because of the wide variety of activities and events offered throughout the city. Phone: (978) 369-6100 *Request “Middlesex School Reunion Group” block rate. $125 – $135 per room *special rate only available by phone. Phone: (978) 369-9200 Request “Middlesex School” block rate. Another way to stay connected is to tell us what you’re up to! Have you recently moved, got a promotion, married, become a parent or grandparent, gone on a vacation? Class Notes is the place to share. Photos encouraged. If you have any questions, please contact John Morrissey P’18’22, Director of Alumni Relations, at [email protected] or call 978-371-6523.